Asterisk/Freepbx is a Free Open Source Software that Unifies your comunications in a single platform, VoIP is mostly based on Asterisk (Digium the Asterisk Company) in which we integrate PBX, mailing and collaborating task, we also integrate a database server. One of our goals is to make the platform evolve into anything it may be needed for, doesn’t matter the propose. This platform is based in the Open Source philosophy, our community its first because without them we wouldn’t be here. We are proud to say that we are one of the last Opensource projects in Unified Comumnications, this is because the people that make Asterisk possible is our open-source community. The community convened around Asterisk is made up of a group of enthusiastic specialists from different countries who believe in the power of open source to transform the market of information and communication technologies that bring knowledge, experience and passion for open code. The Asterisk/Freepbx community is rooted in the participation of individuals, communities and companies in order to change the way we communicate and collaborate, who have laid the groundwork for innovation and sharing of vital knowledge. With over 1 MILLION production systems worldwide and 20,000 new systems installed monthly, the Asterisk/FreePBX community continues to out-perform the industry’s commercial efforts. The Asterisk/FreePBX EcoSystem has developed over the past decade to be the most widely deployed open source PBX platform in use across the world. The openness of the project allows users, resellers, enthusiasts and Partners to utilize the FreePBX EcoSystem to build robust communications solutions that are powerful but at the same time easy to implement and support. Centralize your communications Worldwide. Secure, scalable and flexible telephone systems for enterprise, contact centers, schools, universities and small to medium sized businesses. Looking for an Asterisk PBX consultant? Alpha Computer Group have dCAP certified Asterisk engineers available to help you at every stage of your Asterisk implementation. With over 11 years experience, Alpha Computer Group have installed hundreds of Asterisk based systems Worldwide. Alpha Computer Group offer a free consultation to analyze your business telephony requirements and determine how an Asterisk based telephone system can benefit your company. We work with you to design your telephone system and to develop a plan to ensure the successful delivery of your Asterisk project. Alpha Computer Group telephone systems are easy to configure and come with many great features as standard. • Voicemail. A professional voicemail service for when you’re out of the office or busy on another call. Voicemail messages are retrieved from your telephone handset or delivered to your email inbox. • Call recording. Calls are recorded for compliance, training or monitoring purposes. Recorded calls are encrypted and downloaded from the system (in wav or mp3 format) or played back to agent’s telephone handsets. • Click-2-Dial. Automate outbound dialing by clicking on a contact’s phone number to call them. Click-2-dial features can be provided from your existing business applications (e.g. CRM / ERP system) using our API. • Interactive Voice Menu. Build multi-tiered voice menus to automatically answer calls, filter calls and route callers to the relevant team within your organization. • Call Queues. Hold incoming callers in line and automatically distribute them to the next available agent. There are many advantages to running a business telephone system from Alpha Computer Group. Here are some of the key benefits. • Full control of your telephone system configuration and monitoring from an intuitive web-based user interface. • Agile working. Empower your people to work when, where and how they choose, with maximum flexibility and minimum constraints. • Keep your telephone numbers when you move office or switch provider. • Flexible rolling contract options. Grow and shrink your subscription as your business requirements change. • Comprehensive management information is available from the web client. Call analysis reports, productivity reports and billing reports are available. • First class technical support service. Expert, friendly, UK based technical support team providing a fast response to your enquiries. • Intrusion Detection. Proactive monitoring for malicious activity (e.g. DOS attacks or Brute Force attacks) or policy violations. Alerts are flagged on our wallboards and sent to our System Administration team. • Encryption of media streams and call recordings. Signaling and media streams between the telephone handset and phone system are encrypted by default. Call recordings and other data may also be encrypted. • Full audit trail. Every move and change is comprehensively logged. Administrators can use the audit report to track user logins and every screen that was viewed or configuration change that was made. • Inbound call barring. Inbound calls may be blocked if the caller id is not recognized or withheld or if the caller id has been added to a blacklist. • Outbound call restrictions on PBX and trunk. Outbound call restrictions may be configured on the PBX (user level, group level or system wide) and the Alpha Computer Group Connect SIP trunk to ensure that users do not run up large phone bills by dialing expensive numbers. • PCI / MiFID II / GDPR Compliance options. We have PCI, MiFID II and GDPR compliant solutions for customers who need to record calls and take payment over the phone and store customer-sensitive data on their telephone system. An on-site telephone system is installed on dedicated servers at your business premises. On-site systems can offer long-term cost savings and may be connected to the traditional telephone network (ISDN, PSTN) and more modern VoIP networks. We recommend on-site systems where customers are locked into long-term contracts with traditional telephone companies or where there is inadequate Internet connectivity or a preference for onsite hardware. Alpha Computer Group’s cloud platform provides a fully managed Internet-based telecommunications service from diverse data centers with no single point of failure. Our cloud services are accessed over the public internet and delivered using the SaaS (Software as a Service) model. Alpha Computer Group build dedicated cloud telephony solutions for our larger customers on their own infrastructure or using third-party cloud service providers (e.g. Byte-mark, Amazon Web Services, Google Cloud and Microsoft Azure). Host your telephony service with a company that specializes in telecommunications systems. Alpha Computer Group provide co-location services, dedicated managed servers and virtual machines for telecommunications systems only. All hosted systems benefit from uninterrupted power supplies, diverse Internet connections and a fast, resilient network. Host your own telephone systems in our data center. Reduce your monthly hosting costs and have full control over your server hardware and upgrades. A virtual machine (VM) or virtual private server (VPS) runs a dedicated operating system on shared physical hardware resources. Dedicated Managed Hosting. Host your telephone system on a dedicated server provided by, and fully managed by Alpha Computer Group. Benefit from the performance of a dedicated server without the inconvenience of installing, upgrading, de-commissioning and disposing of physical hardware. • Our platform is robust and tolerant of hardware failures, faults and mis-configurations. All components of the telephone system may be configured in a multi-server cluster topology to ensure that there is no single point of failure in the software. This architecture also provides a highly scalable solution. • The system can be hosted across data centers in different locations to drastically reduce the impact of major network outages and to facilitate disaster recovery. Complete end to end service. Alpha Computer Group start work on your telephone system at first point of contact. First of all, our team will listen to your requirements and provide objective advice to help you to develop a coherent telecommunications strategy for your project. • Design. Alpha Computer Group work with your organization’s stakeholders to design your telephone system and to develop the project plan. • Project Management. The Alpha Computer Group team can manage the entire telecommunications project or assign a project manager to interface between your project management team and our delivery team. • Migration. We assist at every step of the migration from the management of the telephone number porting process to adapting disaster recovery plans. Our telecommunications expertise and experience with many other types of telephone system will ensure the efficient and smooth migration to your new Alpha Computer Group phone system. • Training. Alpha Computer Group provides training for system administrators, team leaders, and end-users so that the new system roll-out is a smooth and successful experience for everybody. Since 2004, Alpha Computer Group has been designing and installing telecommunications systems for businesss, schools, and government facilities in the Long Island NY area including all parts of Nassau county and Suffolk county. We are Long Island’s number 1 choice for technology. when your looking for Network Cabling Long Island you have come to the right place! The network wiring in your facility is the foundation for all premise communication systems, so we make it our priority to provide top performing low voltage structured cabling systems you can rely on. In addition to following EIA/TIA standards and BICI practices, we give extra attention to the labeling and organization of your cabling so that you and your IT staff can find the data lines you want when you want to find them. We certify the Cat 5e and Cat6 lines we install to EIA/TIA standards with level three certification testers to assure they will reliably perform at top speeds. 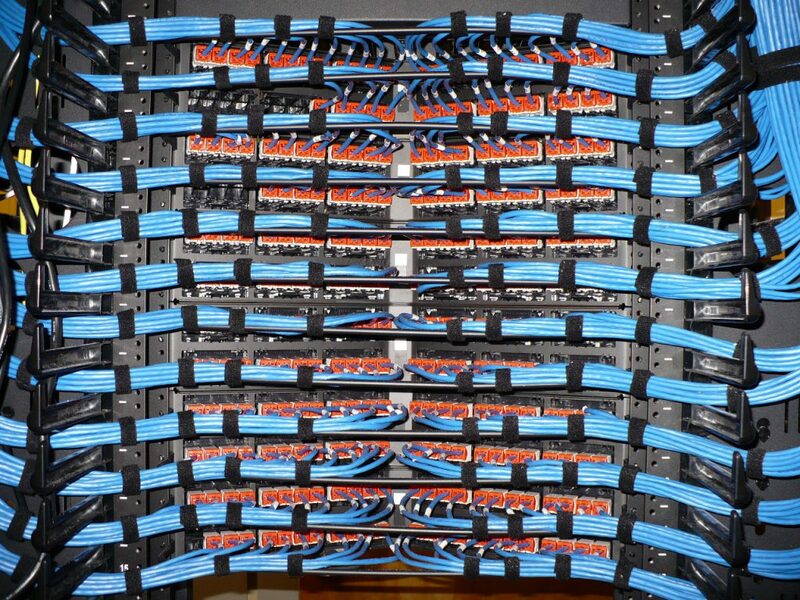 For more information about our structured cabling installation in Long Island. We provide a enterprise Wireless acces systems, installation of these systems, as well as design and diagnostic services for WiFi to our clients in Long Island, NY. Some of our available systems include Ruckus Wirleess, Fortinet, Ubiquiti and Cisco Meraki. What seperates us from many other WiFi design and deployment contractors serving the Long Island, NY area, is our expertise in RF. Coming from a cabling background, we see the most important aspect of WiFi as the ability to transmit data through the air.. a task that can be quite challenging and is filled with challenges that are not always readily apparent. Our RF detection equipment, exerience with RF transmission and interference sources, and heatmap generation tools position us well tp provide and install high quality, high performing WiFi systems. If you are responsible for a WiFi system in the Reading area that is not performing as well as you would like, pleaes do not just install more WAPs. Give us a call instead! Adding wireless access points to your WiFi system can often make things worse. Alpha Computer Group provides and installs overhead speaker systems for intercom paging. We design our systems so that pages can be heard evenly throughout your facility. We provide the interface to your phone system, zoned paging systems so you can target your announcements when needed, and all-call abilities for emergency mass notifications or other annoucements that need to go out to everyone. Shift change bells and other automaited signaling systems are also available, as well as interfaces with door access for door entry. We provide high resolution video security camera systems for the enterprise with a robust intuitive user interface. We appreciate how time consuming it can be searching for important video, so our product line-up is focused on video management software and NVR servers that make the archiving and retrieval of your video a snap. For more detail aobut the CCTV security camera systems we provide in the Long Island, NY area. User groups make assigning access rights easier.